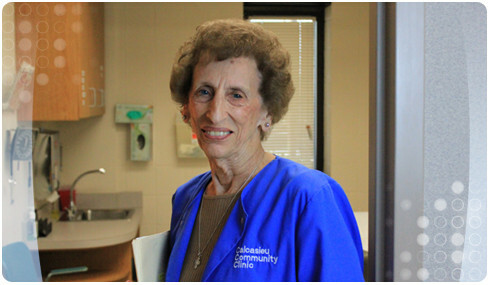 The Calcasieu Community Clinic is staffed primarily with volunteers. Opportunities to serve on Thursday evening include positions for physicians, nurses and pharmacists. Non-medical volunteers are needed to help screen applicants for eligibility and assist with medical records maintenance. Food providers are needed to prepare and deliver a meal to feed 20 volunteers each Thursday night during the clinic hours. If you are fortunate enough to have health insurance, please consider helping someone who doesn’t. SOLD OUT! THANK YOU FOR YOUR SUPPORT. Wine Down, Vino 101 will be held Wednesday, October 10 at L'Auberge Casino Resort Grand Ballroom. Guests will enjoy three white wines and three red wines, each paired with tasting-sized portions of dishes guaranteed to make the wine-lover's palate dance with joy! Tickets are $75.00 each (SOLD OUT) and will go on sale Summer 2018! 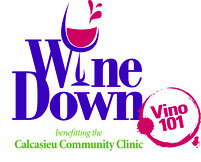 WINE DOWN TICKETS ARE SOLD OUT! We truly appreciate your support, and hope you can join us next time! If you would still like to donate to the Calcasieu Community Clinic you can do so by clicking the Donate button below. Thank you again for your all your support!